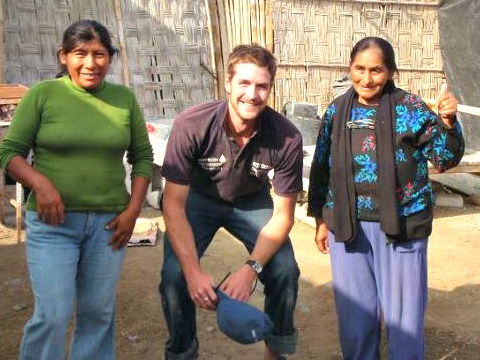 Matt Inbusch worked as an intern for Grameen Foundation’s Marketing and Communications team during the spring of 2012. What a moment to come back from the field! After three years as a Peace Corps volunteer in rural Peru, I briefly returned to my hometown of Columbus, Ohio, over the Christmas holiday, and then – probably a little too soon for my mother’s liking – bought a one-way ticket to Washington. I was fortunate to be offered an internship at Grameen Foundation’s headquarters, and jumped right into the day-to-day work of what I believe is one of the most innovative development organizations around. My eight weeks at Grameen Foundation have given me a good perspective on the incredibly exciting crossroads facing the development “industry” in 2012. 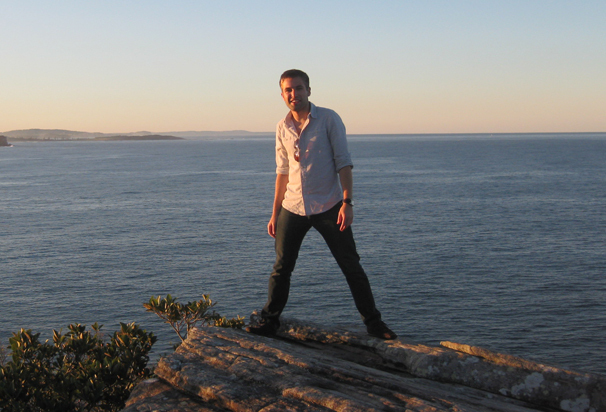 In his final year as a Peace Corps volunteer in Peru, Matt worked in Santa Lucia, a small village in the coastal department of Ica. He’s shown here with beneficiaries of the work he did as a rural-sanitation consultant, building eco-latrines and clean cookstoves for poor families as part of an earthquake-recovery project funded by the German government. I was in for more than a few shocks upon my return to the US , but my own cultural readjustment pales in comparison to the changes that non-governmental organizations (NGOs), aid agencies and governments are making in response to new developments in developing countries. Actually that’s not the whole story; it’s really a two-way street, where unprecedented innovation is happening both from the top-down and from the bottom-up. The result is a total paradigm shift. 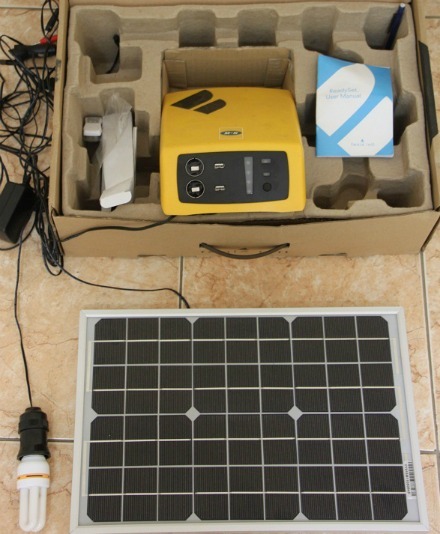 I know I’m not the first to observe some serious flaws in the traditional development model, but I have to say I count myself very much among those who want more than the “aid” concept, which – for most of the last 60 years – has meant hand-outs and feel-good solutions, rather than a hand up and a focus on organic, sustainable systems. That’s why it’s so exciting to be getting my feet wet in this space right now. Technological innovation, market-based strategies and a growing public consciousness are combining to drive game-changing approaches that I see in three big 2012 headliners: David Roodman, KONY and Occupy. 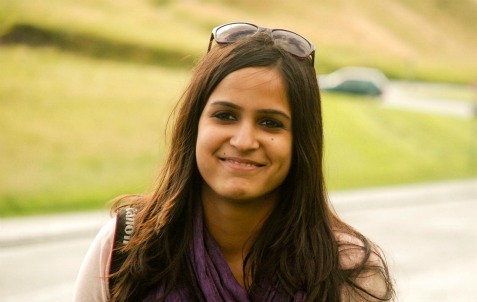 Rhia Bakshi is an international student from India currently living in Washington, DC. She will graduate from American University in May with a double major in international development and business studies. Her interests range from social entrepreneurship and innovation to youth development and the arts. Rhia previously worked with several D.C.-based nonprofits, including Ashoka and the International Labor Rights Forum, and currently serves as a volunteer with Bankers without Borders®, helping the team with communications and social media. Rhia Bakshi, a Bankers without Borders volunteer, believes in the power of cross-sector collaboration. Imagine a world without clearly defined roles — a world where we are able to contribute our time and skills outside of the traditional structure of industry, a world where there is ample opportunity to expand our perspectives, interests and, most important, exchange ideas and skills in an open, unrestrained environment. I believe this is the type of world we need to achieve progress and alleviate poverty. The world has changed rapidly over the past decade. We have witnessed unprecedented growth in technology and innovation, contributing to the creation of a global village — a trend that has fostered a culture of shared benefits and responsibilities. The scale and complexity of the problems we face as a global society cannot be tackled unless we revamp our course of action and work together. The concept of collaboration has altered the way we pursue social change. Whether through formal partnerships or by simply exchanging ideas, organizations are beginning to realize the value of engaging with one another, both within and across different sectors. We are learning that isolated action is no longer a feasible strategy to create change. To truly serve the needs of the poor, we must combine our areas of expertise and think creatively about the issues they face every day. Tânia Sousa works in the Microcredit unit within the Portuguese banking firm Millennium BCP, where she is responsible for marketing. A Portuguese native with more than 10 years of experience in the financial-services industry, Tânia studied economics, and has an advanced degree in marketing. 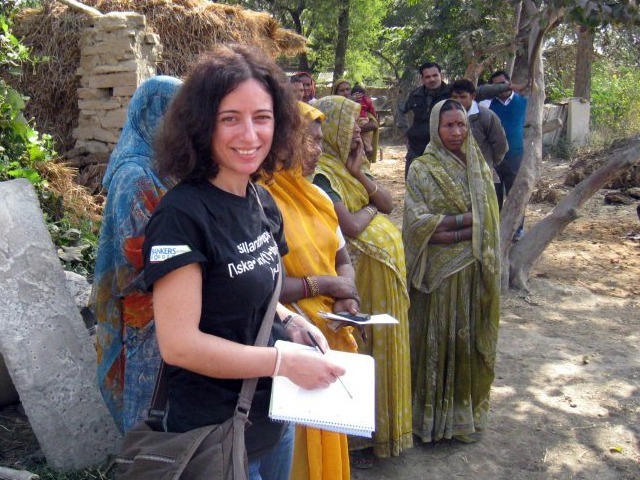 She joined Bankers without Borders®, Grameen Foundation’s skills-based volunteer initiative, in February 2012 and recently completed her first field project in Varanasi, India, with Grameen Foundation’s Microsavings team. Tânia, who currently lives and works in Lisbon, hopes to continue volunteering with Bankers without Borders. Tânia volunteering in Varanasi, India. When I was a little girl and people asked me what I wanted to be when I grew up, I always said that I would like to be a medical doctor. I didn’t imagine myself in a traditional hospital or office. I always imagined myself in a distant country, helping the kids that I saw on TV who were living in extremely poor conditions, with no food, no healthcare and no opportunity to just be … well, kids. Life carried me away from medicine — my soul wasn’t really there — and I eventually studied economics, later graduating with a master’s degree in marketing. After graduation, I started working in a small investment bank called Activobank, which is owned by the largest private Portuguese bank, Millennium BCP. I remained at ActivoBank for 11 years, until March 2011. 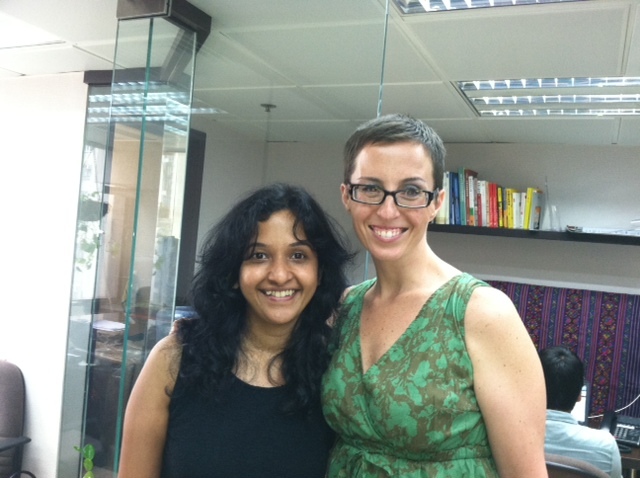 Then something amazing happened: I was invited to lead the Marketing department at Microcredit Millennium BCP. I didn’t know much about microfinance, so the challenge was huge. I immediately started to do a lot of research and, to my surprise, I fell hopelessly in love with microfinance. Yolanda Walker is a South African living and working in the US. She is a graduate of Oberlin College, where she studied Economics. During her college career she studied International Business in France and Mandarin in China. Yolanda also lived in Ghana, where she volunteered at an orphanage. Most recently, Yolanda volunteered with Grameen Foundation’s Capital Markets team through our skills-based volunteer initiative, Bankers without Borders®. 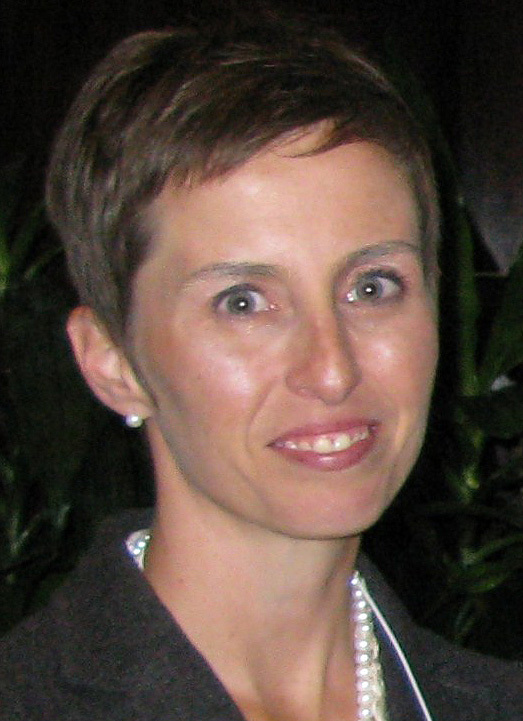 An associate at Capital Group Companies, an investment management company, Yolanda is based in California. 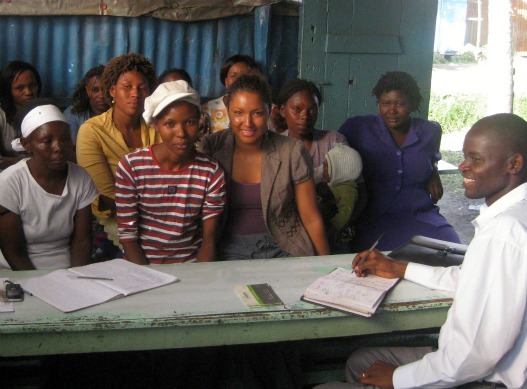 Bankers without Borders volunteer Yolanda Walker (center) attends a borrower’s group meeting in Kenya. One of the many perks of being a part of The Associate’s Program (TAP) at Capital Group Companies is having the opportunity to leave our company for four to five months and completely immerse ourselves in a non-profit organization – with the flexibility to choose any organization, in any industry. As I was contemplating my various service opportunities, a manager at Capital Group handed me a book about a group of individuals whose lives were affected by microfinance. As I perused the document, it became clear to me that this emerging form of finance fosters genuine empowerment for marginalized communities. I was hooked. I grew up in a family of six that, for many years, survived on only $4 a day. 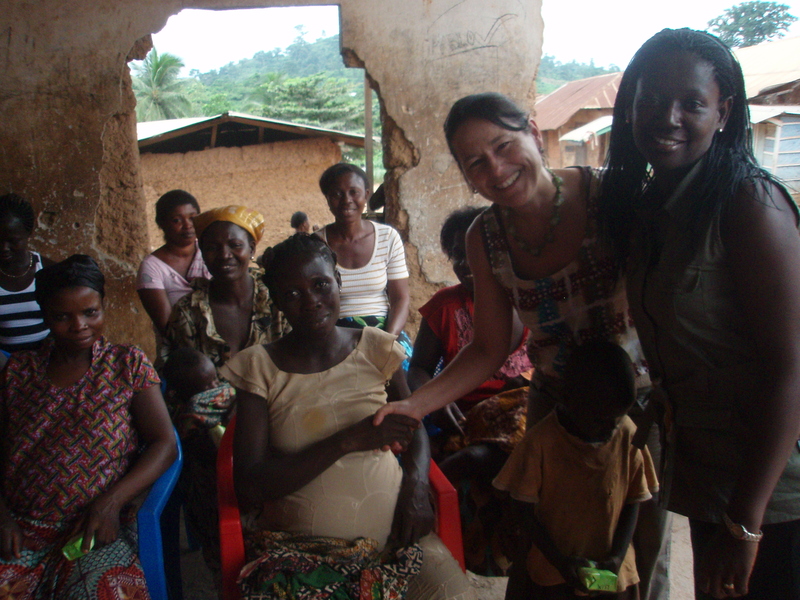 My personal experience enabled me to closely relate to the issues that microfinance clients face. Growing up outside of Cape Town, I knew hunger, and remember often having to stand in food lines when my parents couldn’t afford to feed us. I knew about sleeping in the cold and dark. I knew, at age 10, what it meant to have a job, as I swept classrooms after school in exchange for a loaf of bread. I also knew the fear of potentially having to drop out of school – like my brothers – to take on another job that would bring extra money into our household. These vivid and profoundly life altering elements of poverty were very real for me as a child. So, how did an individual like me end up working at one of the biggest mutual fund companies in the world? My response: hard work, chance encounters and the grace of God.